The Bauchi State Commissioner of Finance and Economic Development, Alhaji Garba Akuyam, has resigned. Akuyam, seen to be one of the strong pillars of the cabinet of Gov. Mohammed Abubakar, took a lot of people by surprise when he announced his ‘voluntary resignation’ at a press conference in Bauchi on Friday. “ I was compelled to resign my appointment in view of some recent developments and political realities of present day Bauchi state, as well as dictates of the movement,” he said. He said he served the present administration as Commissioner of Rural Development, Commissioner of Finance, as well as the Director General, APC state campaign organisation, during the last four years. ” Therefore, it is my privilege and singular honour to most sincerely register my appreciations for the recognition accorded me by the governor, Mohammed Abubakar, to serve his administration, and the good people of Bauchi state, as commissioner, ” he said. He promised to make himself available to serve Bauchi state when ever called upon to do so in another capacity as the need may perhaps arise. According to him, the decision to resign was after wide consultations with family, friends and associates, adding that he had delivered his letter of resignation to the state governor, through the Secretary to the State Government. 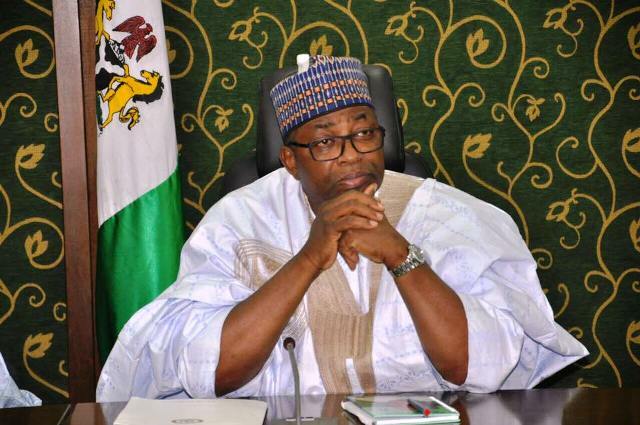 The News Agency of Nigeria (NAN) reports that the former Commissioner of Finance and Economic Development was the campaign Director of Governor Mohammed Abubakar during the 2015 general elections. He was later appointed Commissioner for Rural Development, where he served for two years, before being reassigned to Ministry of Finance as commissioner. The timing of his resignation is seen by political observers as ‘inauspicious’ particularly considering the recent political development in the state.